Had a lovely time at the Hougoumont Hotel, close to everything in freemantle , the staff where very friendly and helpful, romms very comfortable although a little small. overall my experience at the hotel was great . sensational Wonderful staff, excellent position, children loved it. 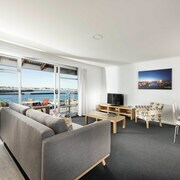 Dolphin spotting, walking distance to activities, free bus service and transfers from/to the airport made easy. 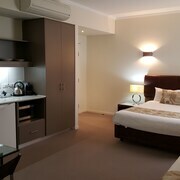 Nice and close to all you need in Freo A hostel with a nice atmosphere and great ppl! Was a bit scared off some off the bad reviews but the hostel didn't earn those reviews in my point of view. Not super clean st all times but hey - you don't have super clean at home all times either! Need a break from spreadsheets, KPIs and your overbearing boss? 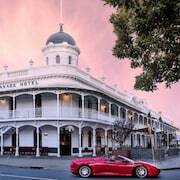 Situated 15 kilometres from downtown Perth, Fremantle is an awesome place to base yourself while getting to know Western Australia's sensational capital. There's no lack of things to see and do in Perth. Drop by its most popular attractions, Swan Bells Belltower and Kings Park and Botanic Garden, and take some seriously envy-inducing selfies. Teach the locals your technique with a round of golf at Royal Fremantle Golf Club. The Pier 21 Apartment Hotel and Tradewinds Hotel are among the most popular places to base yourself nearby. 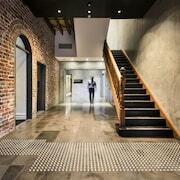 If you need to fill in some time, appreciate the artefacts at Fremantle Grammar School. 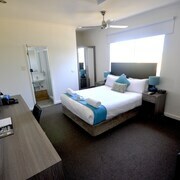 Accommodation choices to check out near here are the Esplanade Hotel Fremantle - by Rydges and Seashells Fremantle. What are holidays for if not splashing out? The Be. 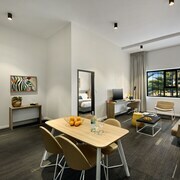 Fremantle and Platinum Suites Fremantle are lastminute.com.au's picks for those travellers who aren't frightened of spending a little extra cash. Just been jolted awake by the alarm? Preparing for a mammoth day out with your mates but hanging out for a caffeine fix before you go? Don't fret. You'll be able to grab a hot coffee to go (and maybe a cheeky snack as well) nearby at Hush Specialty Coffee. When your stomach really starts to carry on, make your way over to Stable Hands and check out their impressive menu. Now you've warmed up, we don't reckon you'd say no to a few beers or a vino at Sing!Sing!Sing! @ The Navy Club. It's a great place to debrief on the day's adventures. 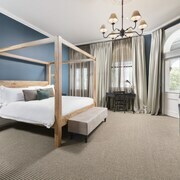 If you and the squad can't find the ideal Fremantle hotel room, then it's worth having a squiz at the accommodations in Cottesloe and South Fremantle. 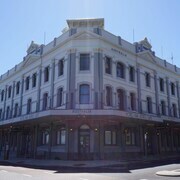 Whether you'd like your vacation in Fremantle to be carefree or teeming with jaw-dropping moments, we'll make it happen! Just a few more clicks and you can start packing your bags!